Valentine's Day pregnancy announcement photoshoot with Meghan & Daryl in San Antonio, Texas. The process of growing a photography business has taught me a lot, but the one thing I'm most excited about discovering is how much I love to work with the same clients over and over again. That's always been my biggest heart-ache when it comes to being a wedding photographer - only getting to work with my clients for one day. I have to thank Meghan and Daryl for refusing to let me leave their lives, and for helping me realize how much I love photographing each milestone in my client's lives. I met Meghan and Daryl when they were getting married a few years ago, it was a stunning wedding and I completely fell in love with their friends and family. You can see their wedding blog post here. After their wedding, I ended up photographing one of Meghan's friend's wedding, where Meghan was a bridesmaid. 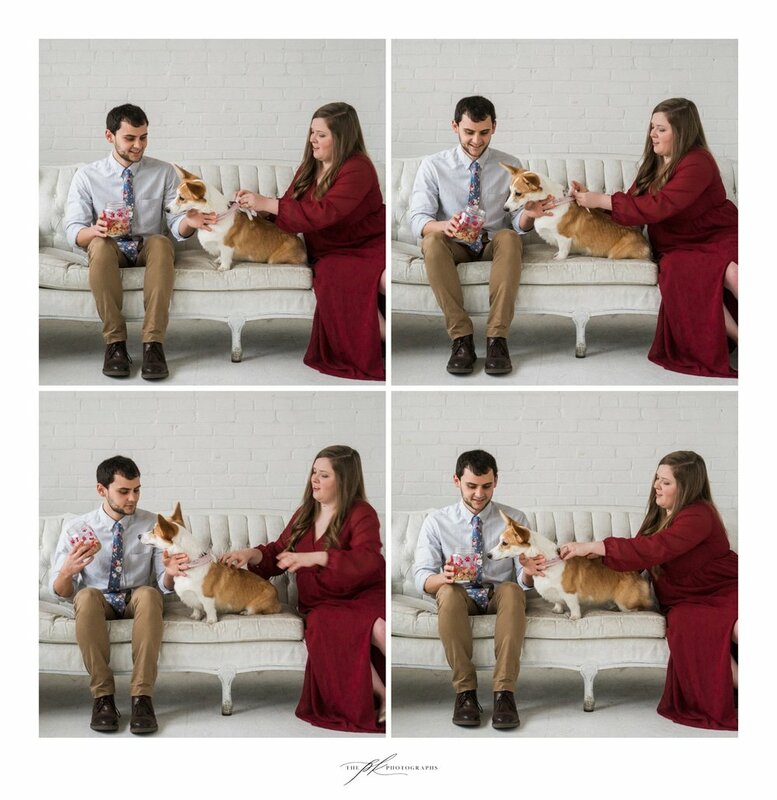 Shortly after that Meghan reached out to me about booking a portrait session for her and Daryl's first anniversary, and that is when I met Olive - their corgi. 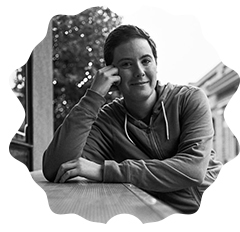 A few weeks before Valentine's Day, Meghan reached out to me again with some very exciting news - she was pregnant! We spent a few days planning different aspects of the photoshoot, thank you Pinterest for the inspiration. Of course it's great to just create portraits of the parents-to-be, but whenever I have the chance to make a photoshoot more than just that, I take that chance. Meghan was totally on board with my ideas of including a cute calendar with their due date and making a special photo of their furbaby, Olive. I love this shoot, and I hope to have the opportunity to photograph more pregnancy announcements, and I'm super stoked to photograph this next phase in Meghan and Daryl's life! I can't wait for Meghan's maternity session, and then hopefully I'll be able to meet Baby McGhiey shortly thereafter!